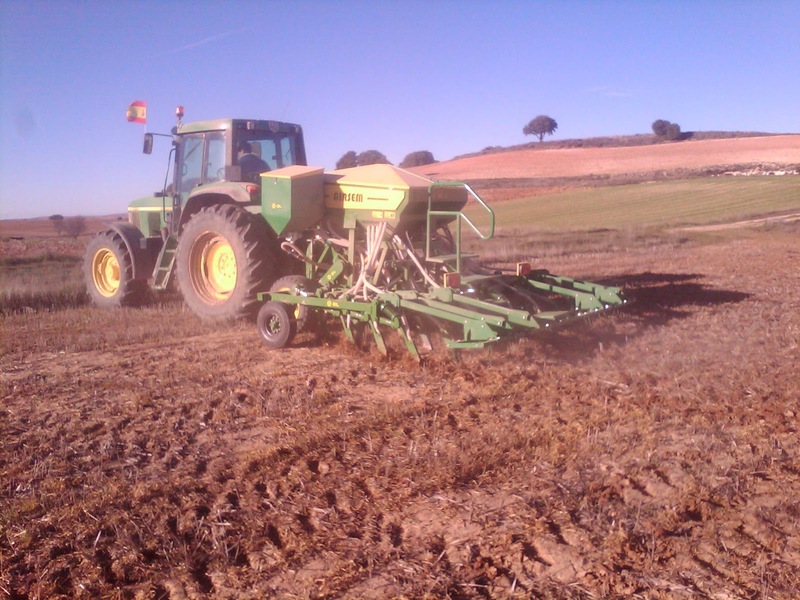 Our follower and friend Rubén Melero, from Belmontejo village, sent us a few pictures about his direct seed drill. 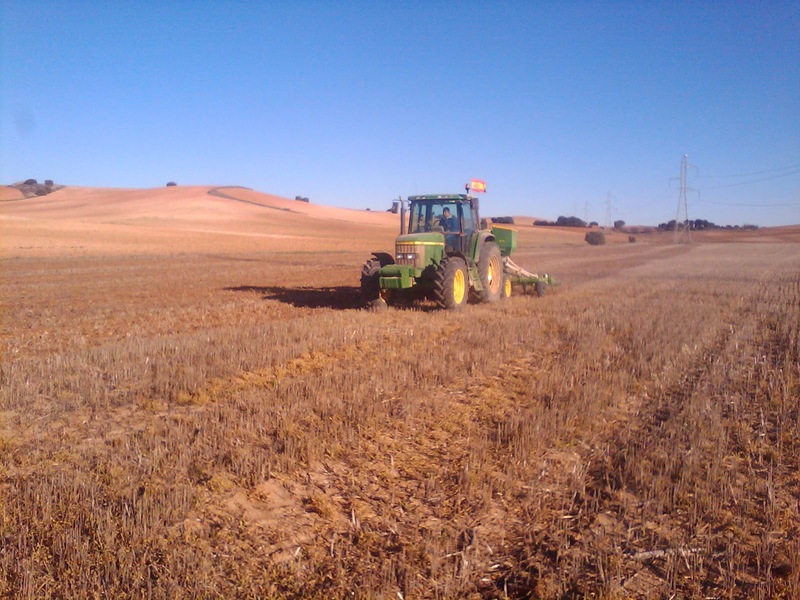 In our village any farmers perform direct sowing, so we couldn't talk about that in the previous posts on this blog. 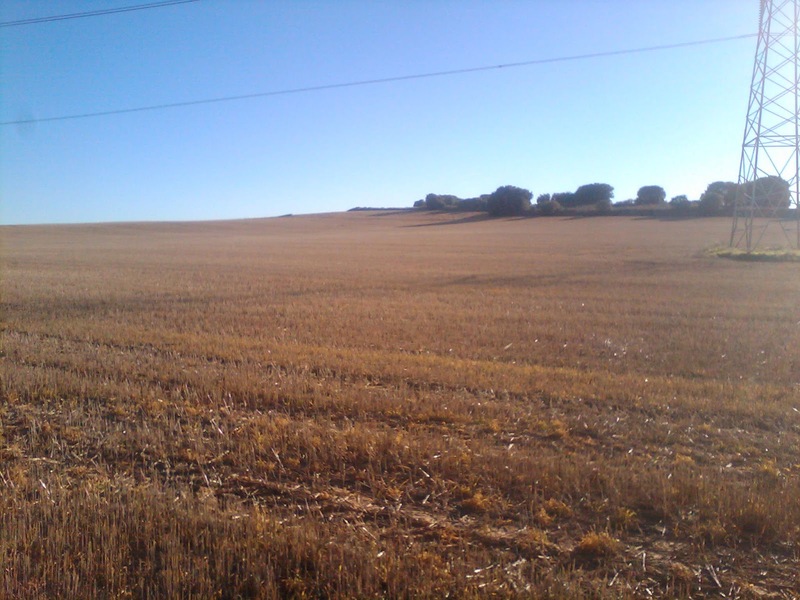 Thank Rubén for your pictures and comments!! 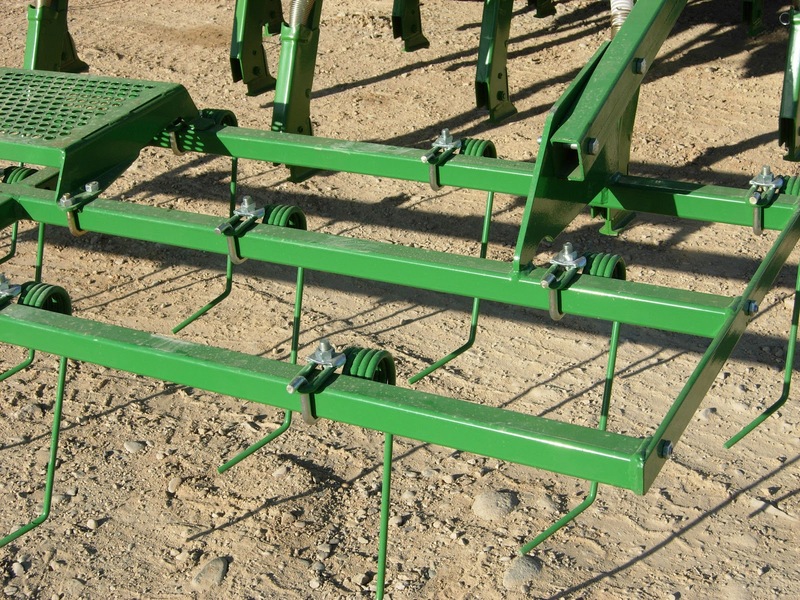 Also, we recommend you read the article about direct seed drills published in www.masquemaquina.com blog. A really interesting article! 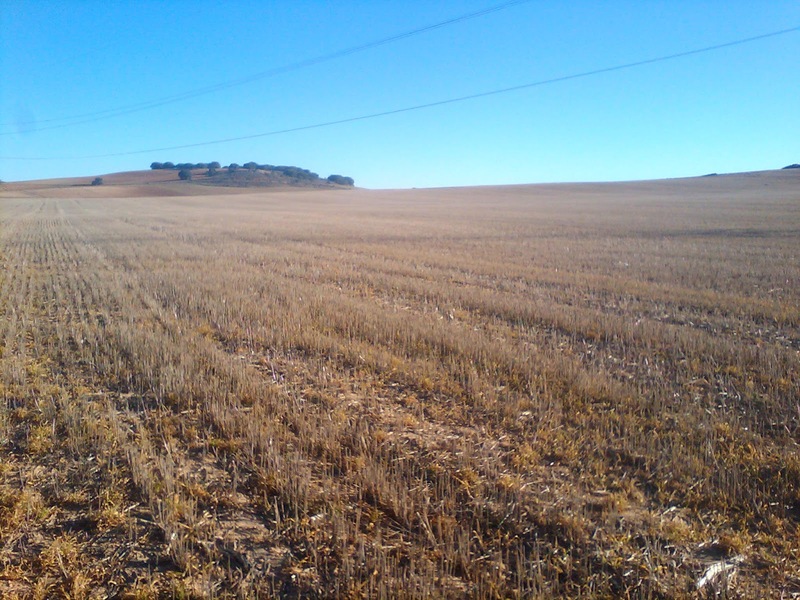 He told us that after cereal and sunflowers harvesting, he didn't work his fields. 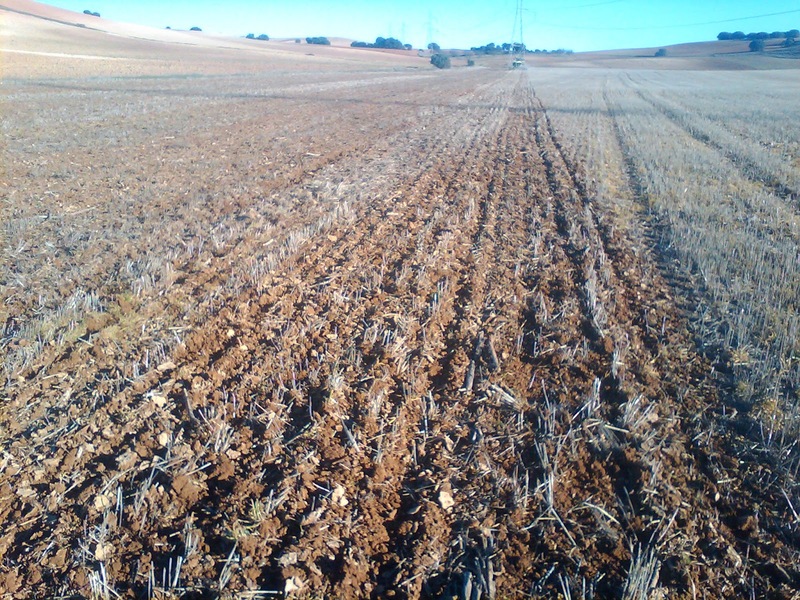 With October's rains, a lot of weeds grew and five days before starting to sow (he sowed on the first December days) he sprayed with glyphosate 36% at 2.5 l/ha (Eurosato) + 0.2 l/ha of wetting (Agral). A few days later, he started sowing. 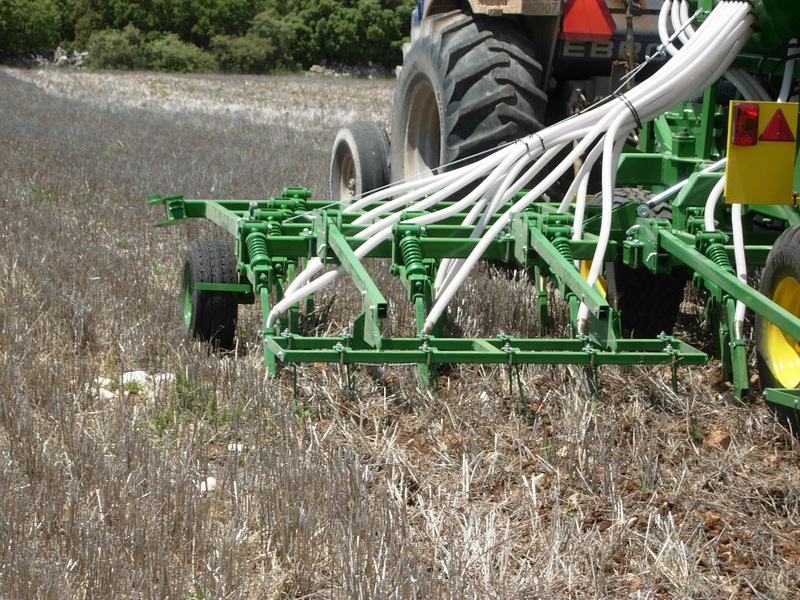 With this delayed spraying, he hopes he won't have to spray his fields again in spring. 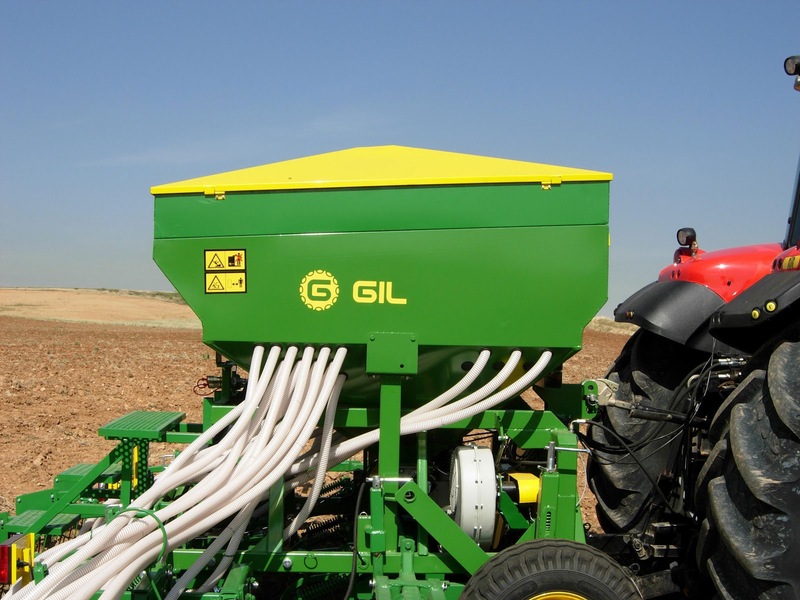 The direct seed drill used is a Gil Airsem 4F-4024-SNL with coulter. 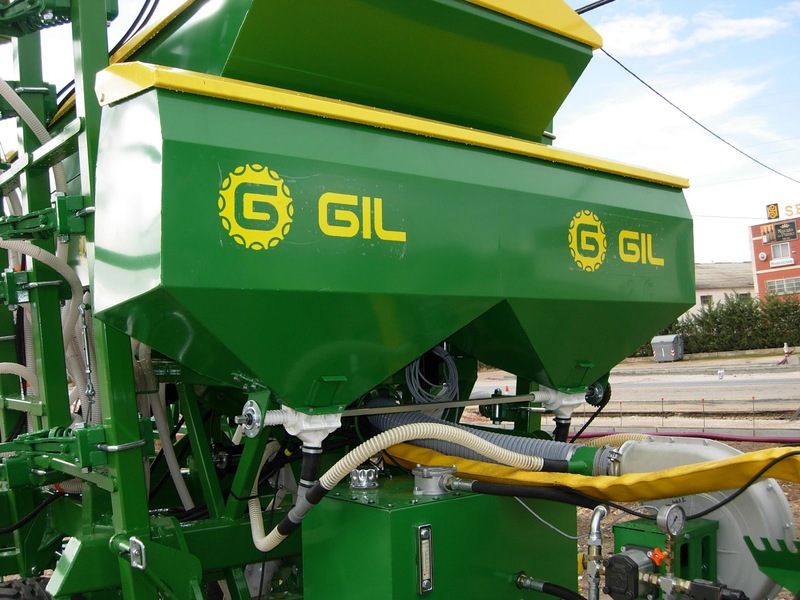 It has two hoppers for fertilizer, which can be microgranular or complex. 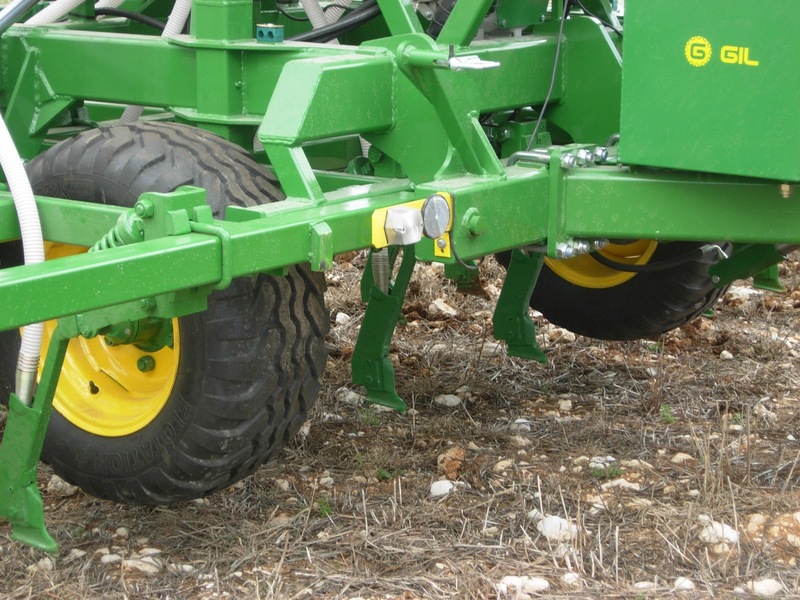 The working width is 4m (16cm between rows) and the transport width is 2.7m. The empty weigh is 1,500kg. 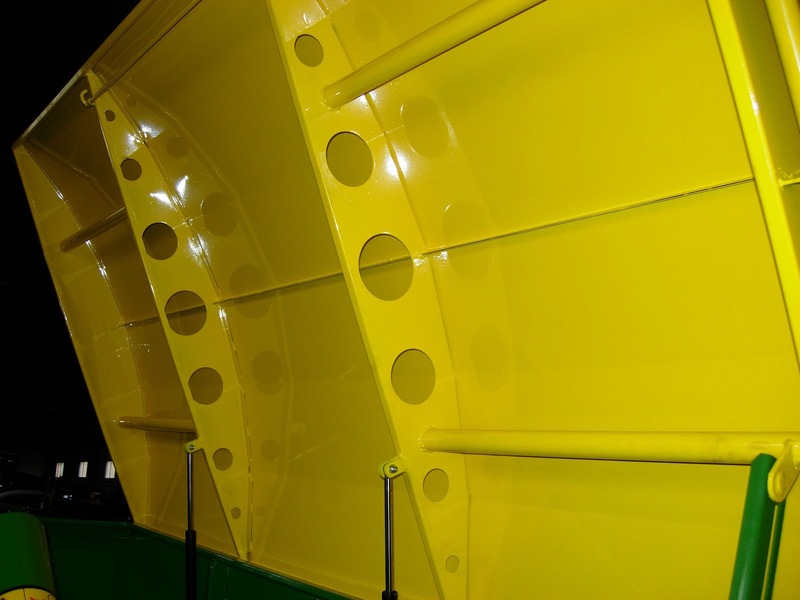 The main hopper for grain has a capacity of 1,400 litres (about 1,100kg of barley) and the two fertilizer hoppers can load about 450kg. The total weigh is about 3,000kg. 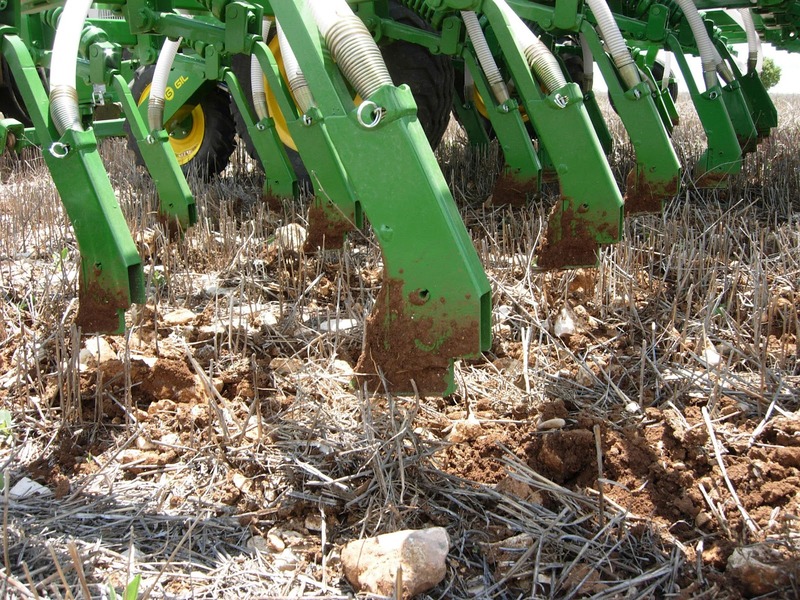 The used tractor is a John Deere 6810, which didn't have any problem to work with direct seed drill (it worked at 9km/h and 1,700 r.p.m. in C3 gear. The turbine works about 4,000 revolutions). 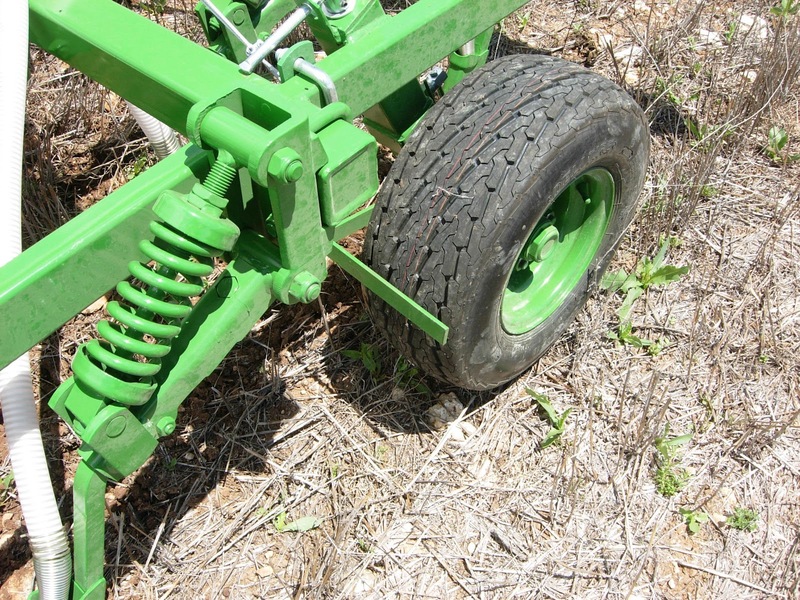 The tractor only has a small problem when it maneuvers on slopes, for avoiding it, Rubén increased the number of front weights. 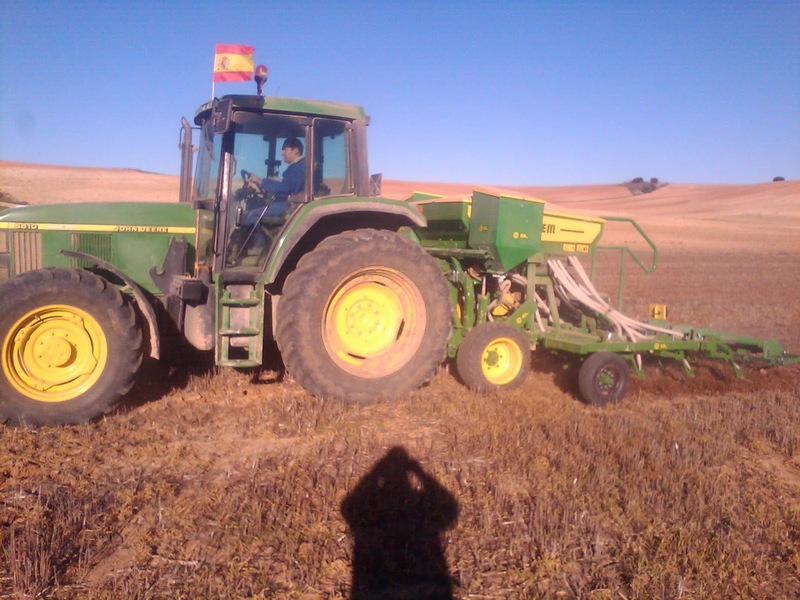 The fertilizer dose was of 90kg/ha 18-46 (DAP) and the barley dose was of 200kg/ha. 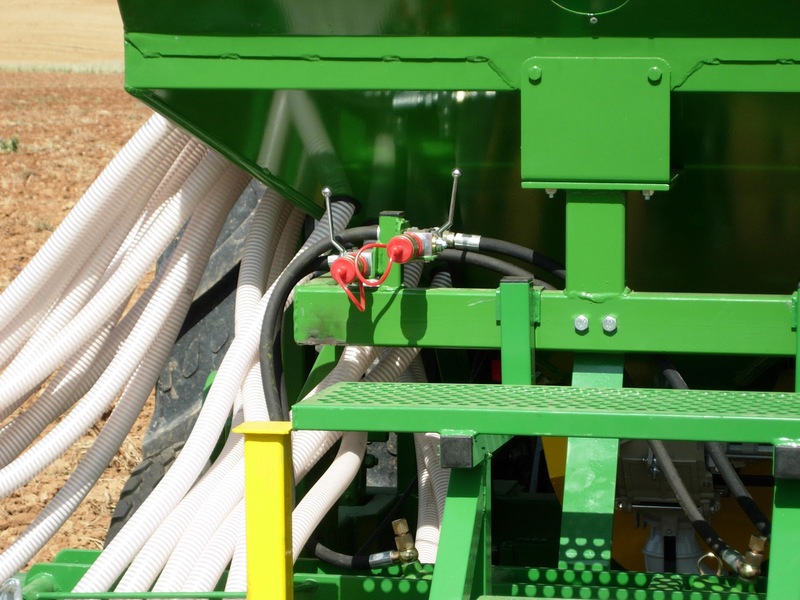 I see, they use modern equipment to seed the farm. In Australia, we still use horse drawn carriages to transport vegetable produce. Also, I saw videos about your large machinery in some Australian farms.